Free parking is available at training venue. 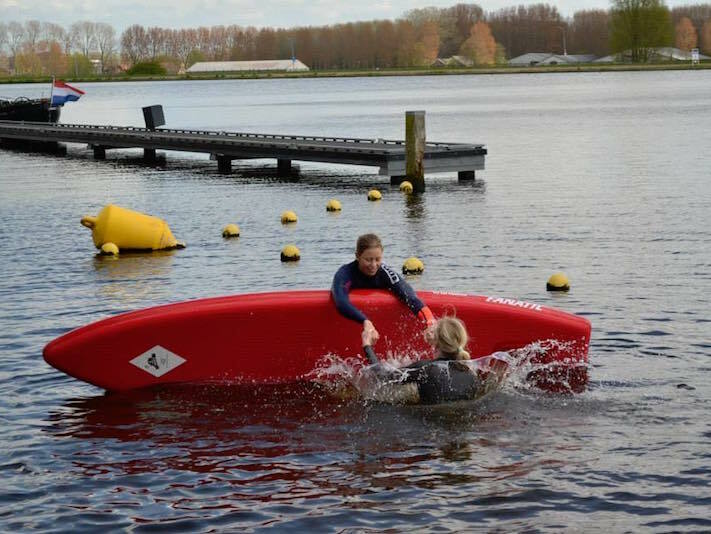 Free Movement are providing local support for the ASI Instructor workshops, providing a wealth of local area knowledge. Free Movement can also provide on-the-job practical experience. 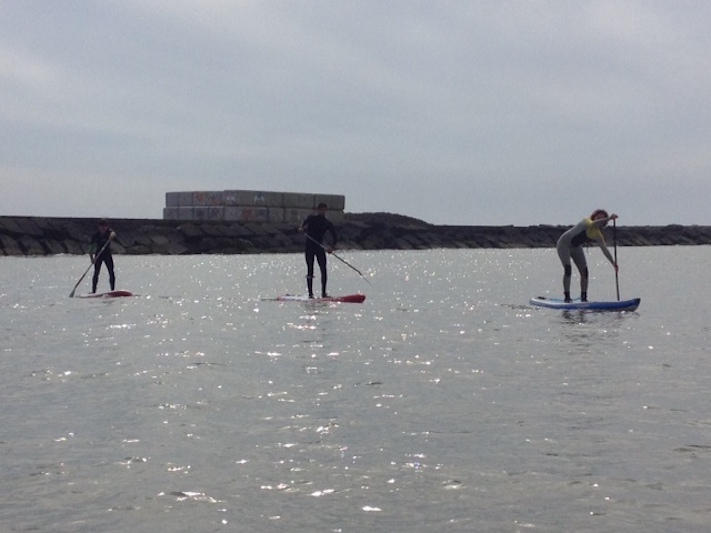 Your SUP instructor certificate/s will not be issued until these are received. Bus 73 that comes from Haarlem station, you have to leave the bus at Haarlem Graafschapstraat, after that, about 5 to 10 minutes walk. Best option is the train that stops at Haarlem Station, then take Bus 73. 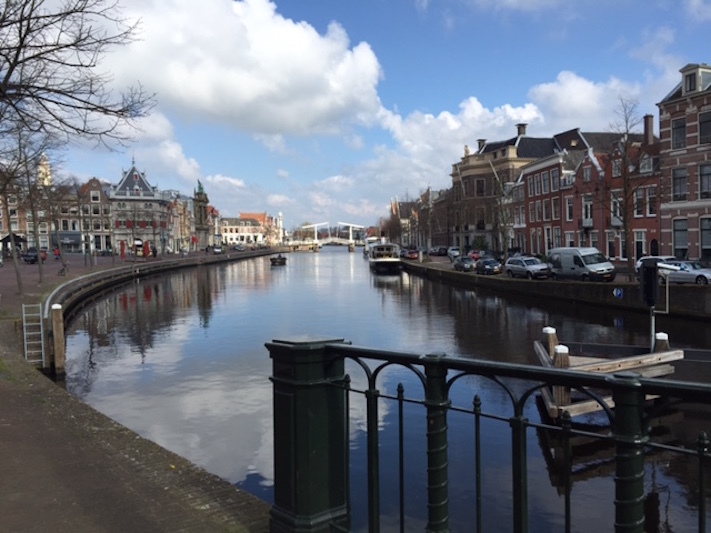 Haarlem is about 30 minutes from Amsterdam and is the capital of North Holland, a charming medieval town on the banks of the Spaarne River. It is approx 20 minutes drive from Amsterdam (or 20 minutes by train). Haarlem has a rich history dating back to pre-medieval times, and this is reflected in the architecture and cobbled streets. From the 1630s until present day, Haarlem has been a major trading centre for tulips. 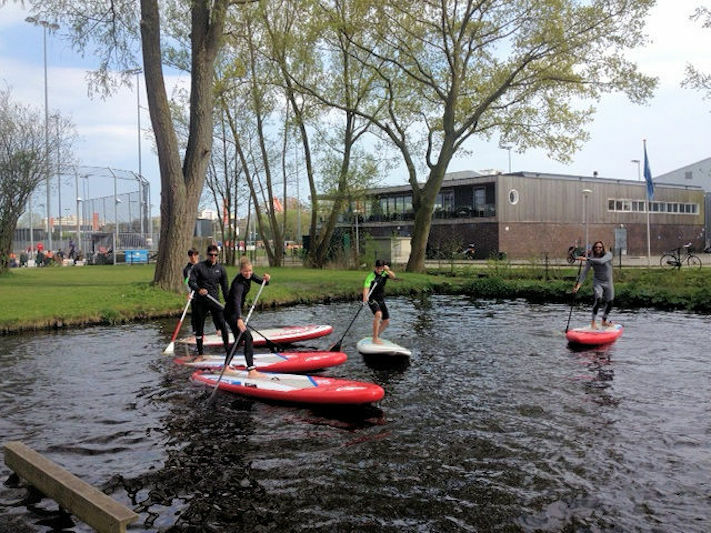 Haarlem is fun for paddling because you can paddle through the canals and see the city or paddle to rural part of the city, with cows, sheep and other animals around you. 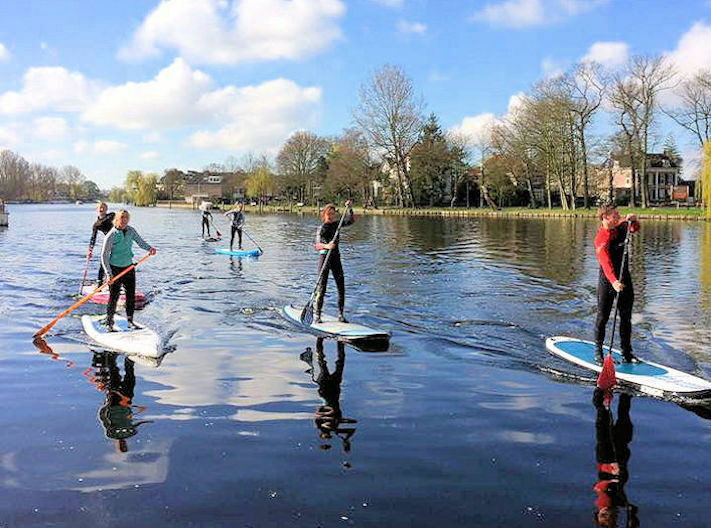 Haarlem offers excellent SUP paddling, the longest route is 20km , the shortest is about 6km. 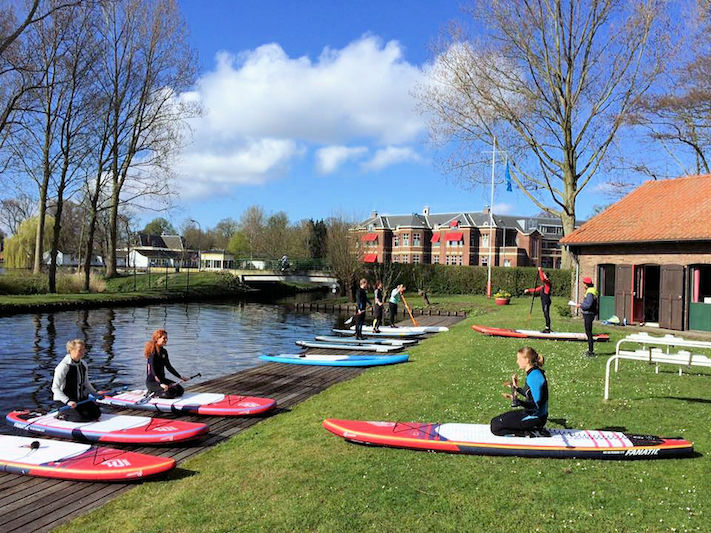 There’s also a 60km tour, leaving from Haarlem, to other cities and back to Haarlem, so there’s a lot of water and lots of paddling opportunities.